Wed 04/24 - Join us on Sunday June 30 for the tenth edition of the Six Hours of Mt Hood , Oregon's marquee Mountain Bike Endurance & Relay Race, presented by Sellwood Cycle Repair! Come race - as a two-person team or solo - with hundreds of other mountain bike enthusiasts, for six hours straight, on a fun and varied loop at the Skibowl Mt Resort (in Government Camp, OR). The 5.5-mile course (6.8 miles for solo racers) features plenty of smooth-rolling, twisty singletrack trails through beautiful forests. The estimated elevation gain per lap is about 850' (1,100' for solo riders). Each lap, racers will get treated on great views of Mt Hood, a fully-stocked aid station, free mechanical support, non-stop race announcing & music, and a ton of cheers from their fellow racers. On Sunday morning, before the race, we'll serve free coffee and hot Bob's Red Mill steel cut oats. At the end of the event, racers will enjoy a free post-race chili meal, $1 beers, and a free entry in our post-race raffle. The start/finish area is at Skibowl West, next to the main parking lot (right off Highway 26), so you'll have easy access to your car throughout the day. Tue 07/04 - Check out all the awesome race shots captured last Sunday by Jack Gosnell (on his web site) and Jose Sandoval (on his flickr album). Thanks, Jack and Jose, for coming out and shoot! Sun 07/01 - Thanks to everyone who came out today to race, volunteer and cheer at what turned out to be another fun and epic edition, topped off with some fantastic weather! Final results have been posted on OBRA. A major shout to our wonderful sponsors Sellwood Cycle Repair, Hopworks Urban Brewery, Nossa Familia Coffee, Showers Pass, and Dave's Killer Bread for their generous support and to all our volunteers and everyone at Skibowl for helping us make it all happen! Check back later this week for more photos and some cool drone footage will be posted later this week. Next year will mark our 10th edition (already mark your calendar: Sunday June 30, 2019!) and we hope to see you all back! Have a fun 4th of July everyone! Sat 6/30 - Check out the final start list with the 262 racers (including a record 103 solo racers) who have signed up for tomorrow's race! Online registration has now closed, but you can still register on-site at Skibowl on Saturday (3:00-6:00pm) or Sunday (7:00-8:30am). 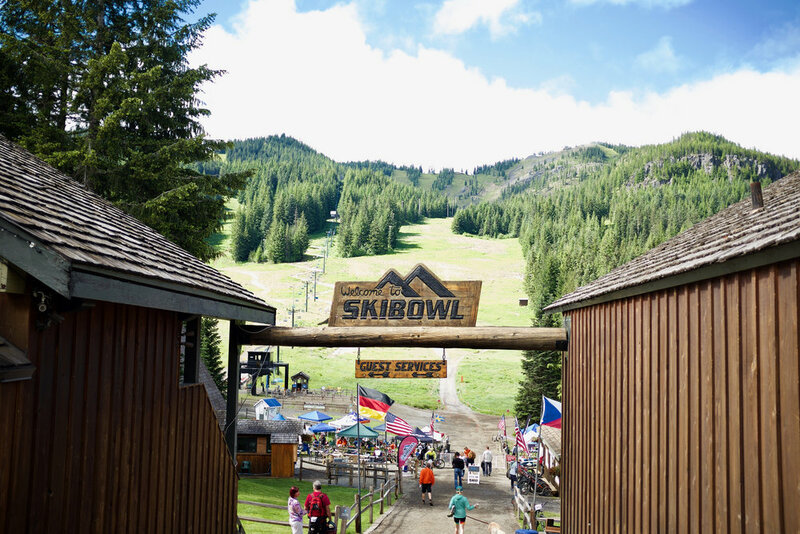 If you plan to race but haven't registered yet, we strongly recommend to be at Skibowl no later than 8:00am, so you have enough time to get registered and be race-ready by 9:15am. At 9:30am, we'll stage the racer meeting, immediately followed by call-ups, and the start of all categories (at 10:00am sharp). Also, congratulations to Stefan Furst for being the winner of our pre-registration grand raffle of a Showers Pass IMBA jacket! We'll raffle off another Showers Pass jacket - and a bunch of other great prizes generously donated by Sellwood Cycle Repair and our other fantastic sponsors - at tomorrow's post-race raffle, right after we the awards ceremony, just make sure to han! Finally, a reminder that Mt Hood Skibowl requires all trail users at the resort (including all bike racers) to sign a separate waiver that is specific for Skibowl. If you plan to race on Sunday, please take a minute and fill out their online waiver at bit.ly/skibowlbike. That way, you are in their system and you don't have to sign an additional paper waiver on Sunday. Wed 06/27 - Online registrations keep trickling in and right now our counter shows 224 racers who have signed up across all 11 race categories. The weather forecast is calling for near perfect race weather (dry skies, partly cloudy, with highs in the mid to upper 60s). And the course is in top shape, as those who raced the Skibowl XC Classic last Sunday can attest. So, all the ingredients are there to make it another great edition! There is still time (until Friday at Noon) to register online, get your name added to the start list, and save time and money on Sunday! And if you hurry and are among the next 26 racers to sign up, you will receive a cool custom pint glass and classy finisher tag. To sweeten the pot, we will raffle off a svelte Showers Pass IMBA jacket (Men or Women's) among all racers who have registered by end-of-day Thursday! Based on the online registrations to date, we expect a record turn-out on Sunday. Yay!! - To help things run smoothly on Sunday morning and make things easier on our registration and scoring staff, we strongly encourage racers to pre-register online (deadline is Friday at Noon). - We extended the time for race plate pick-up and on-site registration on Saturday from 3pm to 6pm. Note: if you register on Saturday at Skibowl, the race entry fee will include a $5 convenience/late fee. - On Sunday, the day-of-race convenience/late fee will be $10, so if you have already made up your mind to race (and you totally should! ), don't wait until Sunday to register! - Please note that registration & race plate pick-up on Sunday will open at 7:00am and close at 8:30am. TLDR: If you plan to race on Sunday and haven't registered yet, please register online today and save yourself some time and money on race day! Sun 06/24 - We are just one week away from race day and registrations have been coming in strong! The current start list shows solid fields of contenders in all 11 categories, so expect a fun race for all. And if you are among the next 60 racers who register online, you will still receive a custom pint glass and a cool finisher tag. But don't wait around, because we expect these to be all gone in the next few days and who wants to drink their celebratory post-race HUB beer in a plastic cup? Fri 06/15 - Check out the preliminary call-up list for the 2018 Six Hours of Mt Hood, featuring the close to 100 racers who already registered as of today ! Register online today to get your name added to the call-up list and to save time and $$ on race day. If you register by next Friday (06/22), you will save $10 OFF the day-of-race registration fee! In addition, the first 250 racers to sign up will receive a custom Six Hours pint glass and a cool finisher tag. And if you have raced the Six Hours two or more times in years past and pre-register again for this year's race, you will receive a very special Six Hours "Frequent Flyer" can glass to add to your collection of 6 Hours regalia. Just our way of saying thanks for supporting our race and for coming back each year!